If you are facing allegations of white-collar crime, you need access to the very best legal representation. At HHD, our team can defend you against a range of criminal allegations. At HHD we draw on our strength as a multidisciplinary practice to deal effectively with white collar instructions. Our team has a history of successfully defending corporate clients or individuals for fraud or regulatory for breaches in the Magistrates’ Court or Crown Court. At HHD you are paying for the best when nothing else will do. When you’re out of your depth, “Matt Higgins brings a calm reassurance to all problems”. Investigations into companies and individuals are increasingly carried out by a wide variety of organisations, including the Financial Conduct Authority (FCA), the Department for Business Innovation and Skills (NIS) and the National Crime Agency. Our experienced team of criminal solicitors have represented clients at every stage of proceedings and our early intervention often succeeds in bringing investigations to a halt before charges are brought. We are experts in cases involving serious fraud and the Bribery Act. We work closely with our litigation department who offer a depth of service and understanding that very few firms can offer. Should a case be successfully prosecuted confiscation proceedings can often be the most punishing consequence of any conviction. Our experience in dealing with the most difficult aspects of confiscation, including hidden assets, tainted gifts and restraint orders can significantly temper the final order made. We now live in a world governed by social media and the vast use of the internet. People can find themselves embroiled in the Criminal Justice System accused of inappropriate use of the internet. Our team of Solicitors have a wealth of experience in dealing with cases of this type. We can advise on the strength of the case against you and when necessary, can rely upon a team of appropriately qualified experts to examine all computer and phone equipment using the latest techniques available. In Operation Orr, hundreds of people across the world were arrested and accused of downloading indecent images. HHD Solicitors successfully defended a number of businessmen wrongly accused after establishing their credit card detail had been fraudulently used by criminals across the world. If you are accused of being in possession of indecent images, we can help you achieve the best result possible. The introduction of the offence of corporate manslaughter via the Corporate Manslaughter Act 2007 has changed the way in which workplace fatalities are investigated. If one of your employees dies as a result of an accident whilst at work, your business could be liable for prosecution of breaches of your duty of care or if management failures contributed to the death. Companies can also face prosecution if one of their employees is deemed responsible for a death caused by their negligence. Companies unfortunate enough to experience these issues can expect to face a lengthy investigation involving both police and the Health and Safety Executive (HSENI). Sentencing guidelines in England and Wales recommend fines from £500,000 into the millions of pounds against companies convicted of corporate manslaughter. If the impact of a large fine is not considered ample punishment those companies could also be required to publicise their convictions to their customers, shareholders and the general public. The first successful conviction for corporate manslaughter was secured in February 2011 and confidence in prosecuting under the new law continues to grow. Professional advice from an expert criminal lawyer at the earliest stage in the investigation is crucial. If you have an urgent query, contact one of our team of expert lawyers on 07850707426. We are available to take your call 24 hours a day 7 days a week. For private or corporate clients, involvement in a regulatory, financial or business crime investigation could have wide ranging and potentially damaging implications. Not only may personal and commercial reputations be placed under intense scrutiny, defence of such investigations can be time consuming, distressing and costly. We are able to advise company directors, the business community and professional white-collar personnel facing investigations or court proceedings in a regulatory, disciplinary or criminal context. 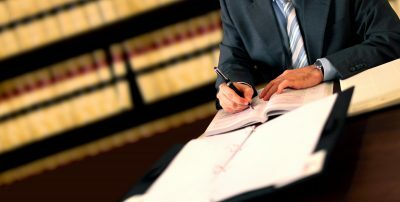 Our ability to manage the most complex of cases, including those with an international or significant retrospective element, is assisted by the support of our in-house experts complimented by instant access to specialist expert counsel throughout the UK and Ireland together with the leading forensic and accounting experts from within the jurisdiction and worldwide. The protection of our client’s interest is always uppermost. Tenacious and methodical in our approach, we are prepared to take the time and effort to acquire the information necessary to build the best defence for your case. Our advice is practical, prompt, and thorough, always protecting your best interests.